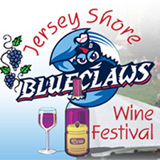 On Saturday, June 1 through Sunday, June 2, festival goers can look forward to sampling wines from a nice variety of award-winning Garden State wineries. In addition to wine tastings, there will also be live entertainment, as well as crafters, retail vendors and food vendors. The festival will be held each day from 12 p.m. noon to 5 p.m. ET., rain or shine. See you there! Click to Learn More! IT’S TIME TO START PLANNING OUR JUNE TRIP! One Big Successful Birthday Party For The Orphans!